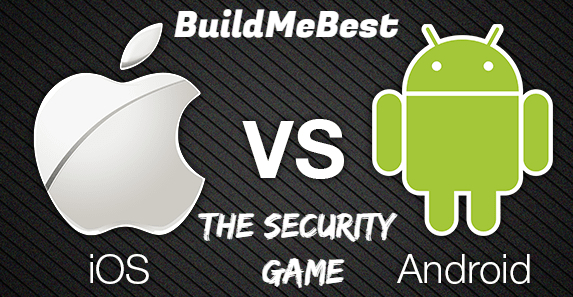 Android vs iOS Which is More Secure? 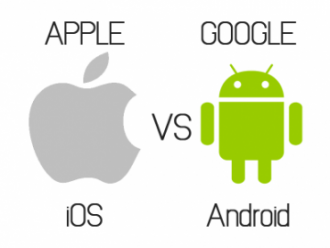 iOS and Android are presently the two giant players in the mobile OS market and the Apple vs Android security debate has been in the air for the last couple of years. While your iOS device is more secure from malware threats and other bugs, there is an increasing evidence of mobile threats affecting both sides of the divide. In today’s post, we are going to take an in-depth look at the at the mobile OS strategy of Apple and Google so as to help you make a wise decision before you purchase your new phone model. According to Dionisio Zumerle, a Gartner analyst your mobile device is a lot more secured today than it used to be 5 years back. The reason behind this is that both the mobile platforms were created right from the scratch with all the existing know-how of the last few years of personal computing. It goes without saying that security mechanisms like app store distribution, user permission and sandboxing are getting sturdier than ever. However, cyber aggressors are also becoming more sophisticated by the day which is why both iOS and Android are trying their best to alleviate the security threats. 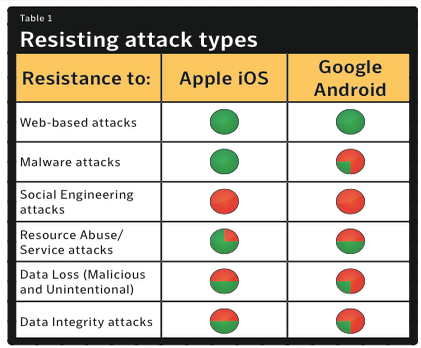 Apple and Google have concentrated their efforts on security enhancement, 3rd party integration and compulsory usage of better security practices. Although the Android phones have captured a whopping 73% of the smartphone market with over 1.8 billion users last year, this open source OS is more vulnerable to malware attacks and other security threats. Let’s find out why. While discussing the threat level on both these platforms, it is quite apparent that Apple users are on the safe side. Android being open source, even the tiniest modification to an existing application can create a potential security hole. For instance, something as innocuous as modifying the look of a messaging app can pose a threat to your security. 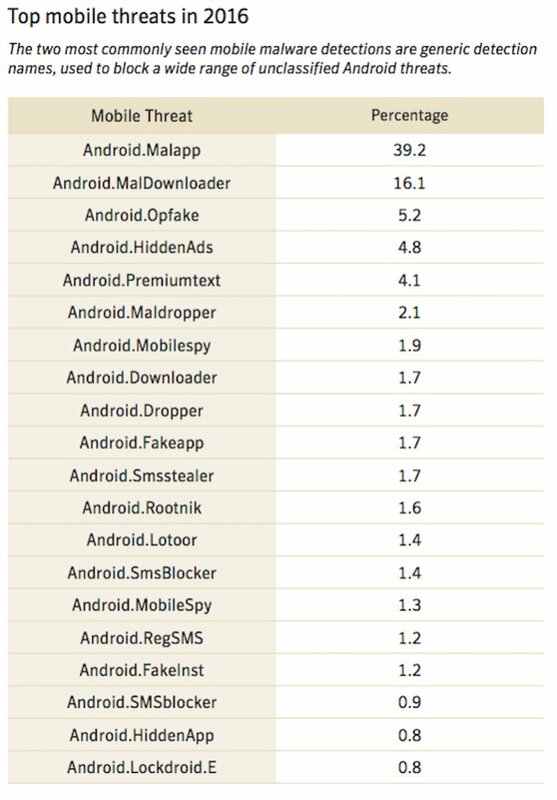 Recent researches have revealed that the majority of the mobile malware are known to target your Android phone. The open approach of Android is primarily responsible for this. The iOS which is far more expensive than your average Android phone is known for its super strong security. The entire ecosystem of your iPhone including the software, hardware, and firmware are controlled by Apple and they are known to implement strong encryption standards throughout the platform. Following an FBI request for unlocking an iPhone, Apple has further reinforced the hardware and iCloud encryption to make the phone almost hack proof. Apple strictly reviews all the apps which are made available in their app store so as to eliminate any chance of a malware attack. However, all it takes for a hacker is create a perfect iOS malware to breach your iPhone and mess up your security. These days, hackers are using a personal approach to access your data and login info and though Apple phones offer a considerable degree of security when compared to your Android device, it is by no means full proof against a cyber-attack. As an Android user, you will be able to avert a large number of security threats simply by upgrading your mobile device to the latest version of the operating system. This is extremely important for the security of your phone since the device inconsistency across the backdated OS versions plays into the hands of the cyber attackers. One problem with Android is that whenever there is an Android update not many people receive them. iPhone users do not face a similar threat since each and every iOS updates are known to prompt mass up gradation. iOS updates are generally huge events and even the minor security scares are promptly dealt with. Although one might complain about Apple’s strict control of everything which occurs within its OS, this is precisely the factor which gives you a much more secured environment and makes your phone virtually hack proof. Unlike Apple, Android is largely dependent for its security on the hardware of your phone. Some smartphone manufacturers offer better built in securing features thereby making your device more secure. The Samsung KNOX 2.0 for example, would give you a far more secure booting process taking the security level of your Android device a notch higher. So if you are keen on using an open source system without having to deal with all those security issues, then consider spending on a high-end Android phone. Nevertheless, Apple is not as invincible as it seems since there are also instances of iOS attacks. For instance, the Pegasus malware (a spy software) of 2016 could easily affect an iPhone and access information regarding your emails, messages and calls. It is also capable of gathering info from a number of applications such as Skype, WhatsApp, Facebook, Gmail etc. 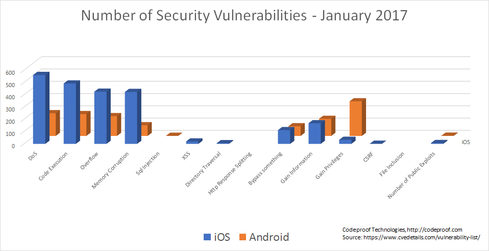 When it comes to mobile vulnerabilities, Android surpasses iOS. This is why Google is now managing its source code and has made it mandatory for phone manufacturers and app developers to go through the compatibility testing of Android. Moreover the upcoming version of Android- the Android O is said to be not as open as its forerunners. As you must have already guessed by now, our verdict goes in favour of iOS devices when it comes to security against malware and other cyber threats. Although Android has made significant advances in term of enhancing mobile cyber security, it is iOS which takes the gold. Majority of the enterprises still find iOS devices a safer alternative for securing data. The malware variants are steadily increasing by the day and phone security has come up as one of the most important considerations before purchasing a new device. While Android is not as secure as iOS, there are a few things you can do to enhance the security of your device. Make sure to ascertain the safety of the applications you are downloading before you allow them to access your location, contacts and messages. Getting a mobile security scanning app is also a good idea since it would help to prevent all kinds of malware attacks. Anil Parmar is the co-founder of Glorywebs, a mobile app development agency that aims to help clients with app design & development, digital marketing, web development and more. Mobile apps & games we develop have a common # 1 goal: Keep it as simple as possible for technical as well as non-tech geeks. Find him on Twitter @abparmar99 & say Hi!